MS 211 C-BE A value-priced chainsaw with advanced engine technology, our Easy2Start™ system and the STIHL Quick Chain Adjuster. 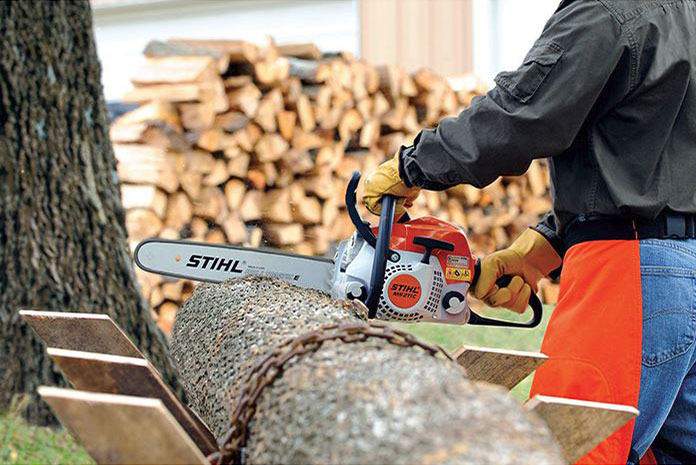 What do you get when you combine a hardworking chain saw with easy-to-use features? You get the STIHL® MS 211 C-BE. 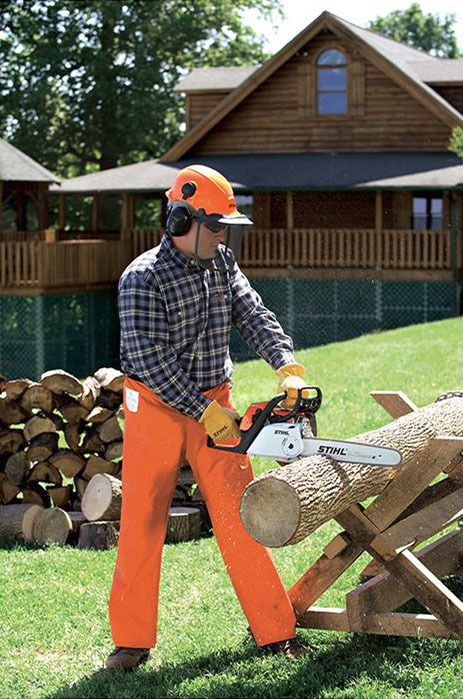 This chain saw takes all the low-emission and air-filtration technology of the MS 211 and joins it with two of our most popular comfort features: STIHL Easy2Start™, a system that starts the engine with just a light pull on the cord and our Quick Chain Adjuster (QCA), which allows you to adjust the chain without tools. Now you can get power and comfort in one high-tech chain saw. If you’re a homeowner who wants it all, STIHL has heard your call. BUILT IN THE USA: When you own a STIHL, you hold in your hands the product of hard work, pride and dedication. STIHL EASY2START™: The STIHL Easy2Start™ system makes starting STIHL outdoor power tools almost effortless, eliminating the need for a strong pull of the starting cord. This advanced starting system is designed to make starting STIHL products easier. The specific system may vary by model, but in each case, a quick pull overcomes the engine’s compression to minimize the strength and effort required to start. Available on selected products. INTELLICARB™ COMPENSATING CARBURETOR: The IntelliCarb™ Compensating Carburetor is designed to automatically adjust the air/fuel ratio when the air filter becomes restricted or partially clogged and maintains the engine’s correct RPM. IntelliCarb™ uses air from the clean side of the air filter to control the diaphragm and flow of fuel. As the air filter becomes dirty and less air is available for the carburetor, the IntelliCarb™ system adjusts the fuel flow to compensate for the decrease in air flow. This is in contrast to typical carburetors that utilize this air from the “dirty” side of the air box. TOOLLESS FUEL AND OIL CAPS WITH RETAINERS: Simply lift the lever and twist the caps to remove or tighten. There‘s no need to use a tool to tighten or loosen. 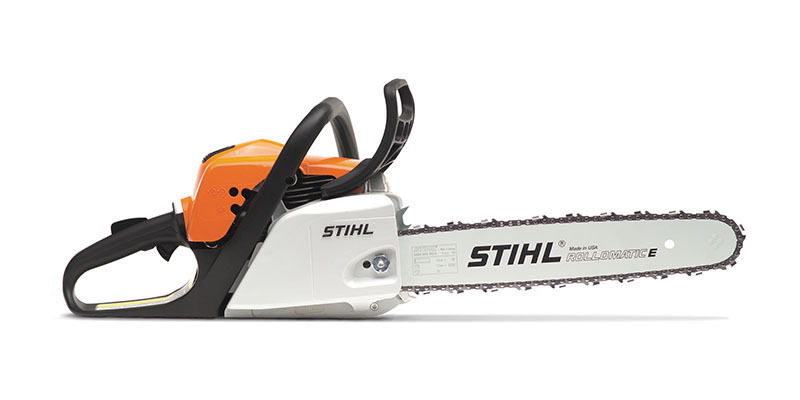 STIHL OILOMATIC® SAW CHAIN: STIHL makes its own saw chain. EMATIC™ BAR: Includes a polymer ramp reservoir which holds bar oil until it can be picked up by passing chain. This can reduce oil usage by up to 50%. BUMPER SPIKES: Help prevent pull-in and provide better control, making cutting easier. STIHL QUICKSTOP® CHAIN BRAKE SYSTEM: Designed to stop the chain in fractions of a second. Can be manually activated or activated by inertia if the kickback force is sufficient. FRONT HAND GUARD: Designed to reduce the risk of injury. SPARK ARRESTER MUFFLER: Has large baffles which reduce noise level and contain a screen designed to reduce the emission of sparks. FRONT HANDLE: Designed for a secure grip and ergonomically angled for comfort. PROTECTED SPARK PLUG: Protected, yet easy to change. LARGE STARTING HANDLE: Easy to grip. SMOOTH CLEAN DESIGN: No rough edges to snag on clothing or brush. AIR FILTER COVER: Easy to remove for fast and easy filter cleaning or replacement. MASTER CONTROL LEVER™: A single lever operating the choke, starting throttle lock and on-off switch. HIGH-TECH POLYMER HOUSINGS: Lightweight, withstand greater impact and are corrosion-resistant. TRANSLUCENT FUEL TANK: Allows operator to easily check fuel level before starting work. ANTI-VIBRATION SYSTEM: Helps reduce operator fatigue. ELECTRONIC IGNITION: Provides easier starting and smoother running. REPLACEABLE "IN TANK" FUEL AND OIL FILTERS: Lower cost and are easy to maintain. INBOARD CHAIN BRAKE: Requires less maintenance and makes saw chain sprocket easier to remove. AUTOMATIC BAR AND CHAIN OILER: Lets operator concentrate on cutting, not on bar lubrication. CHAIN CATCHER: Helps reduce the risk of operator contact by a chain if it should break or derail. THROTTLE TRIGGER LOCKOUT: Must be depressed before the trigger can be activated. *NOTE: STIHL chainsaws have many common features. However, all models may not have all features shown here. Consult your Dealer for details. DECOMPRESSION VALVE: Makes starting easier. EASY2START™ SYSTEM: Reduces the strength and effort needed to start the engine. Available on select models. STIHL QUICKSTOP® PLUS (Q) - AN ADDITIONAL CHAIN BRAKING FEATURE: Designed to activate when you completely release the rear handle. Designed to stop the chain within one second. PURGE PUMP PRIMER: Lets you prime the carburetor without flooding it. Standard on select models. STIHL M-TRONIC™: Electronically optimizes the fuel mixture over the whole RPM — ensuring top performance and efficiency under varying conditions. ELASTOSTART™ HANDLE: Has built-in shock absorber for smoother starting. QUICK CHAIN ADJUSTER: A toolless chain adjuster. CAPTURED GUIDE BAR NUTS: Secure the guide bar and sprocket cover.